We have our first showing. Our agent said "Tidy up." We feel like there is more to it. You have but one chance to make a first impression, good or bad. There is a lot more to it than “tidying up”. Reader Question: We recently put our home on the market and our first showing is scheduled for tomorrow. We asked our agent what we should do to get ready and the response was, “Just make sure to tidy up a bit.” It seemed to us that there must be more to home showings. Is that all there is to it? Bryan and Jasmine C.
Monty’s Answer: Showing a home to a prospective buyer requires “tidying up,” but there is more to exhibiting your product starting when they pull up at the curb. Imagine the prospect walking into your home with a magnifying glass ready to examine every nook and cranny. Even if the magnifying glass is not physically visible, it is present with every prospective home buyer. That’s why it is smart to present your home in the most appealing way possible in order to gain that competitive edge. Look at it like this: the prospect is not there to buy your home; the prospect is there to eliminate it. They buy the home they can’t eliminate. As a home seller, you never get a second chance to make a first impression. You must put your best foot forward because “even the little things mean a lot.” There are steps you can take to help your home pass the prospect’s scrutiny and put on a good show. 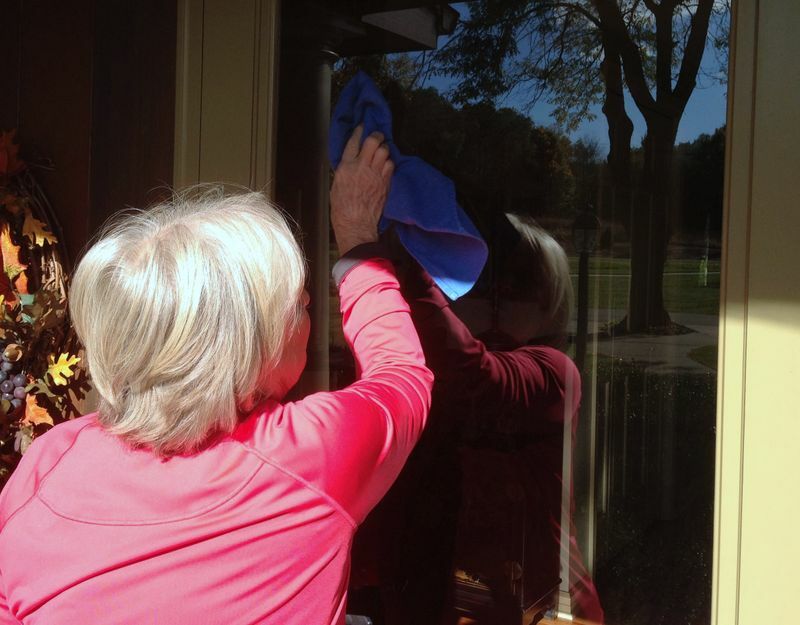 You will find the time, effort and “elbow grease” you put into each home show­ing will be well worth it. It helps portray a feeling of pride in ownership, which is one of the main features prospective buyers are seeking. Always remember to take an inspection tour of your home before each showing. This easy-to-use checklist should help you get ready for an effective home showing. ___ Make sure the lawn was cut and shrubs and bushes were trimmed. ___ In cold climates, make sure snow and ice are removed. In dusty climates, sweep walks. ___ Make certain kitchens and bathrooms sparkle. Remove prescription drugs from medicine cabinet. ___ Remove debris laying on floors. (the less clutter, the better, and the roomier your home will look). ___ Straighten closets and cabinets, and be sure windows and other visible areas are clean. ___ Be sure the front door and foyer are clean. ___ Keep pets and children out of the way; preferably out of the house. ___ Make certain bedrooms are clean, and beds were made. ___ Do not be home. Your presence restricts the prospect in sharing their reactions with the agent. ___ Play “easy listening” music softly. ___ Thin your furniture and accessories if necessary. ___ Remove the source of unpleasant odors and air out the house. A strategically placed unscented candle may help. By improving the appearance of your home, you improve its salability. You will find the time and effort you invest will be well worth the energy. VALUABLES: Cases of theft and breakage are extremely rare, but they can occur. We suggest that you not “tempt” anyone and be sure to put cash, valuables and heirlooms away either while the home is for sale or before each showing. LOCKBOX: A metal lockbox is used to keep the key to your home at your home. Locking the key on the premises cuts down on the possibility of losing your house key, and allows agents to show your home more often and conveniently. SHOWING TIMES: The agent should give you enough notice, so your home will be prepared. We recommend 24 hours. Occasionally, the agent may decide to take a calculated risk and give a potential buyer a short notice showing. The agent will give you the option of showing your home to the prospect in this fashion. INCONVENIENCE: It can be frustrating for the prospect to appear at the wrong time or not at all. Although an infrequent occurrence, there is usually a legitimate reason. Most potential buyers realize you spent time preparing and have the courtesy to adhere to the appointment time. Experience demonstrates that first impressions, whether positive or negative, are lasting. You already invested in a clean up, paint up, and fix up to position your home for sale. Now, make each first impression your home receives a positive one. A clean, comfortable home-showing can make the difference and tip the scale in your favor.